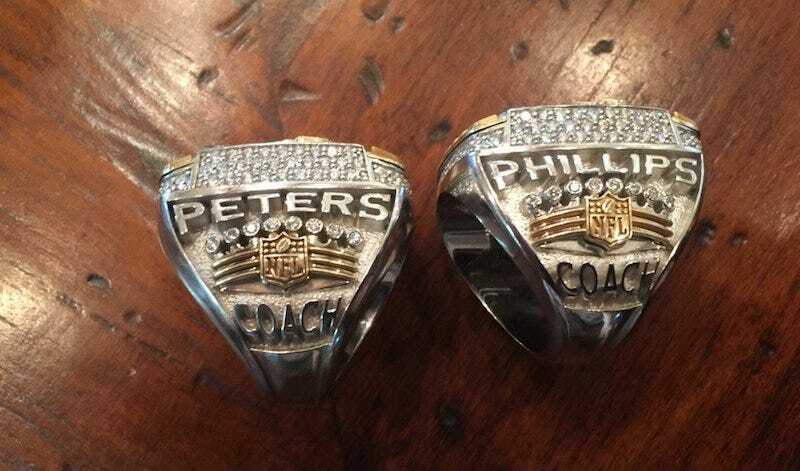 When the Denver Broncos received their Super Bowl rings Sunday, defensive coordinator Wade Phillips’s jewelry had the wrong name. (It was engraved with the name “Peters.”) He showed a photo of the correct ring Thursday, along with the erroneous one. These photos are much better than the ones from his White House trip.